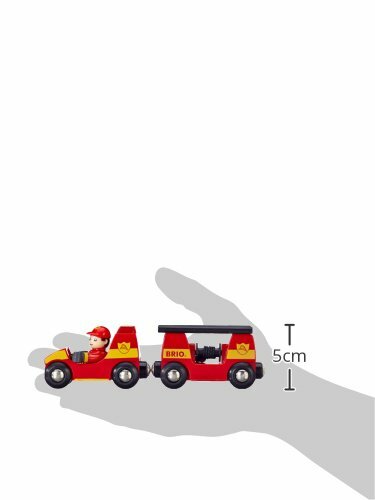 Press the button for light and sound action. 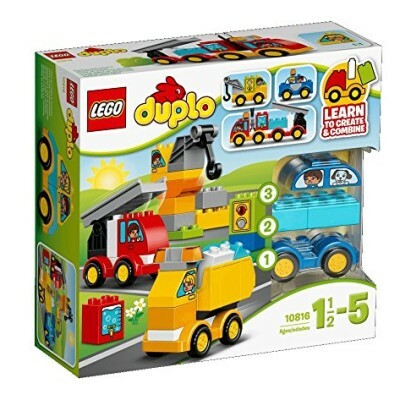 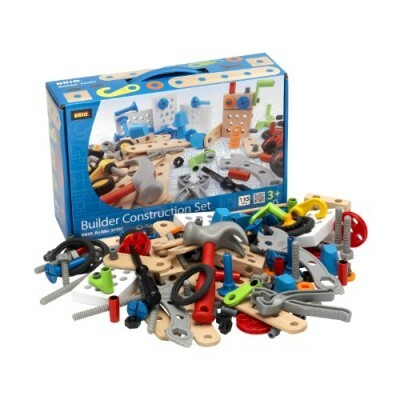 Helps develop hand-eye coordination, for imaginative play time. 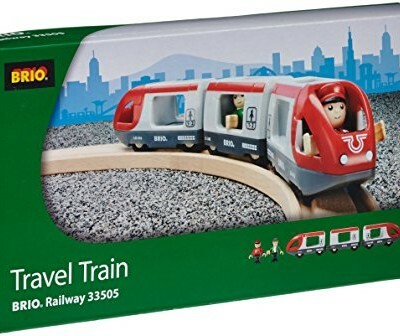 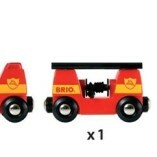 Wooden and durable, made to BRIO’s high standards. 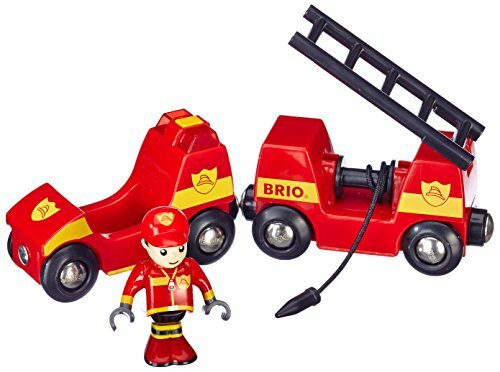 Light and Sound Fire Engine The BRIO Fire Engine features an extending ladder, and a button on top makes light and sound effects. 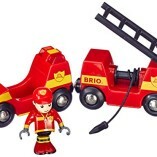 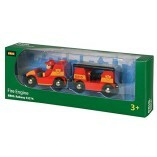 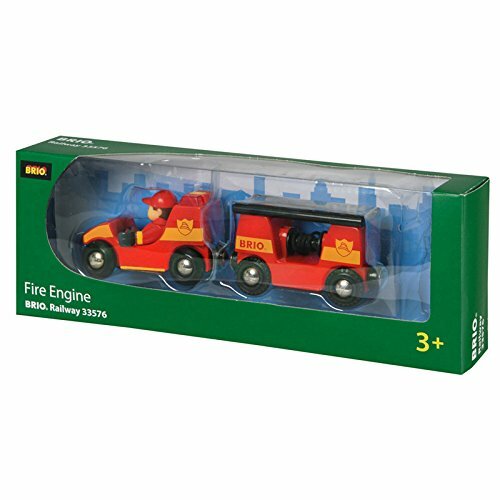 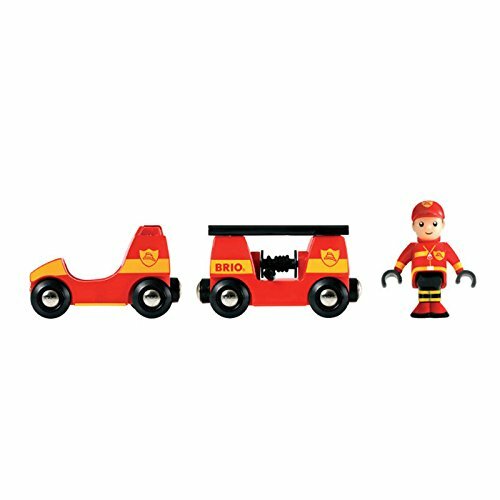 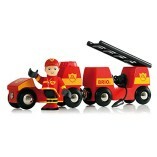 Includes an articulated fireman figure and two LR44 batteries. 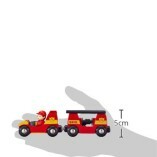 Dimensions : 16.5 cm x 3.4 cm x 5 cm.